Orange, Ericsson and Qualcomm have demonstrated the use of L-band frequencies (1452-1492 MHz) as a supplemental downlink technology on a mobile network. The European Conference of Postal and Telecommunications Administration has decided to harmonize use of the L-band, reserving it specifically for supplemental downlink technology. The demonstration was carried out on Orange's network in Toulouse, France, on 21 February 2013. The trial system, which uses L-band frequencies for testing, was authorized by the French telecoms regulator, Arcep, in June 2012. The system combines L-band frequencies in the downlink mode with traditional 2.1 GHz frequencies owned by Orange to boost downlink capacity. The trial network uses radio base stations supplied by Ericsson and devices equipped with Qualcomm chipsets. Ericsson said supplemental downlink technology represents a significant step forward in traditional spectrum aggregation systems that are already used for HSPA+ and LTE networks by the 3GPP standardization group. Gigamon announced a holistic approach for ensuring visibility across mobile operator networks being deluged by big packet flows. Whereas conventional networking monitoring and test approaches are struggling to keep up with the rising traffic volumes, Gigamon's Visibility Fabric architecture promises the volume, port density and scale for the biggest networks. 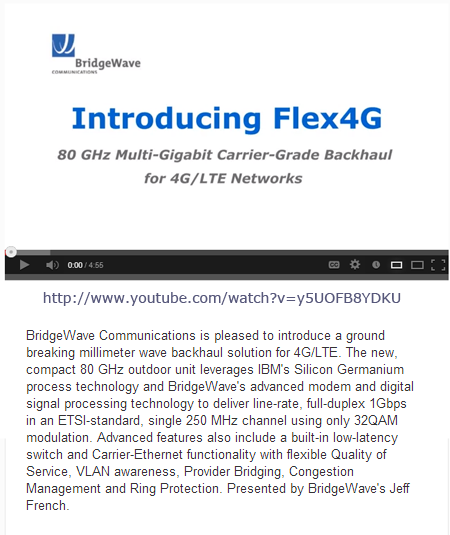 Gigamon recently introduced 100 Gbps and 40 Gbps line cards for its GigaVUE H Series platform. “Big Data is no a longer a problem unique to enterprise data centers. Mobile carriers are now facing a deluge of traffic in their pipes, from an increasingly mobile workforce and the proliferation of smart devices and applications. Mobile carriers must have the capacity to connect pipes to individual analytics tools at the network core and concentration points, to ensure accurate data processing and analysis, as they have already invested a tremendous amount into their existing tools. 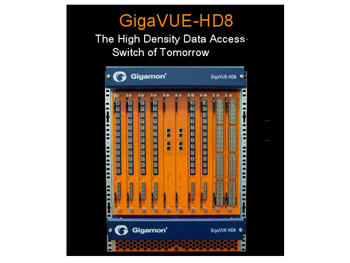 Gigamon’s technology uniquely provides the necessary volume, port density and scale that enables each tool to function at maximum efficiency whilst keeping monitored traffic off the production network, saving the carrier significant costs that translate into cost savings for the subscriber,” said Andy Huckridge, director of Service Provider Solutions at Gigamon. 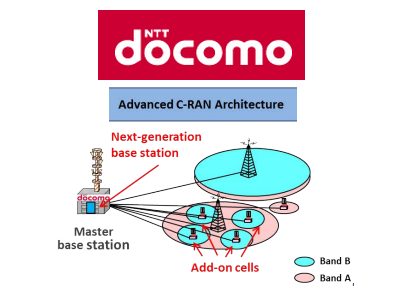 NTT DOCOMO will begin developing high-capacity base stations built with advanced Centralized Radio Access Network (C-RAN) architecture for its next-generation LTE-Advanced (LTE-A) mobile system. The carrier is looking to accelerate the deployment of base stations, especially in high-traffic areas such as train stations and large commercial facilities, for significantly improved data capacity and throughput. The new C-RAN architecture will enable small "add-on" cells for localized coverage to cooperate with macro cells that provide wider area coverage. This will be achieved with carrier aggregation technology, one of the main LTE-Advanced technologies standardized by the Third Generation Partnership Project (3GPP). Docomo estimates that the small add-on cells will significantly increase throughput and system capacity while maintaining mobility performance provided by the macro cell. 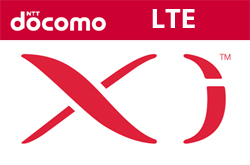 NTT DOCOMO successfully connected an active antenna to a commercially operational LTE base station. Active antennas are expected to be widely used in LTE and LTE-Advanced base stations to improve range and lower power consumption. The antenna, jointly developed by Tokyo-based Nihon Dengyo Kosaku Co., Ltd. and Ubidyne GmbH of Germany, was connected to a DOCOMO LTE base station via an ORI-standard interface. The base station used in the experiment is a remote installation-type base station comprising one master station and multiple secondary stations. A conventional secondary station is equipped with an antenna and separate remote radio heads (RRH) for sending and receiving signals. 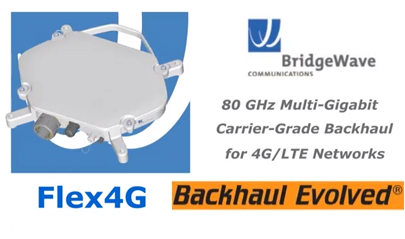 An active antenna, however, has a built-in RRH, allowing the secondary station to be smaller in size and installed in more confined spaces, resulting in denser LTE coverage and reduced installation costs. DOCOMO said the experiment indicates that it eventually will be able to install active antennas quickly and inexpensively without having to set up new base stations. DOCOMO already operates base stations that use the ORI interface, a specification of the European Telecommunications Standards Institute. 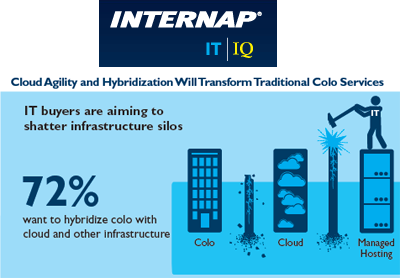 IT organizations are seeking to transform their traditional colocation environments with “cloudy colo” capabilities that deliver hybridization with cloud services as well as cloud-like visibility and control, according to a survey conducted by Internap Network Services. In addition, the survey showed that 57% of respondents are interested in a hybrid IT Infrastructure environment that includes a mix of colocation, cloud and hosting services to meet a range of application and use case requirements. “Colocation, with its capex model, security, control and customization advantages, continues to be a critical infrastructure choice for many organizations. While cloud services are another important option, an all-cloud strategy isn’t appropriate for every situation. 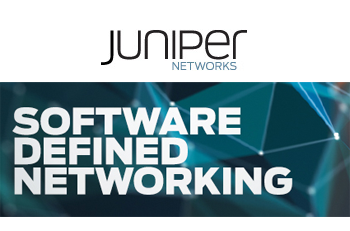 As a result, there’s growing interest not only in hybrid infrastructure solutions but in redefining the limitations of traditional colocation services by integrating the benefits of the cloud,” said Raj Dutt, senior vice president of technology at Internap. Metrored has selected Ciena's 6500 Packet-Optical Platform equipped with WaveLogic Coherent Optical Processors to support a new international long-haul link between Mexico and the United States. The upgraded connection will operate at 40 Gbps with seamless evolution to 100G when needed. This additional capacity will allow Metrored to support the delivery of high-bandwidth applications like high-speed Internet, IPTV, HD programming and mobile video phones. 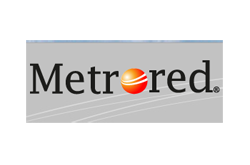 Metrored, which owns and manages one of the largest networks in Mexico, has been a Ciena customer for many years. Financial terms were not disclosed.